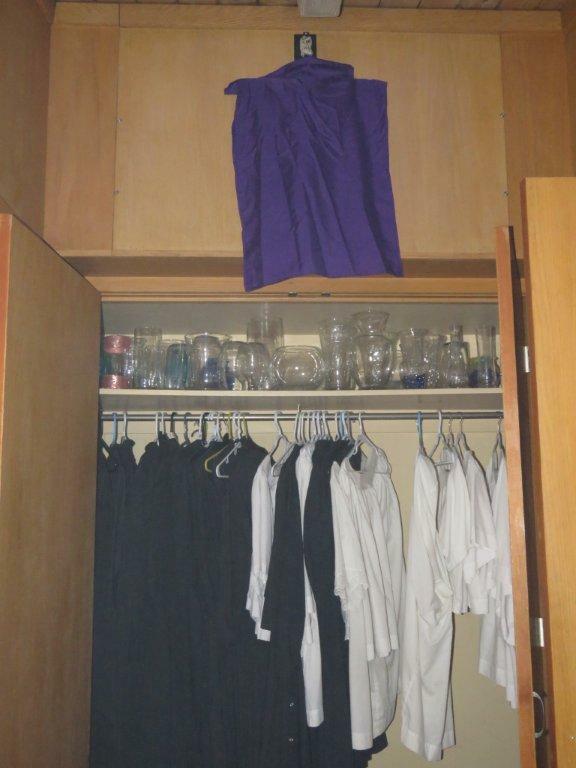 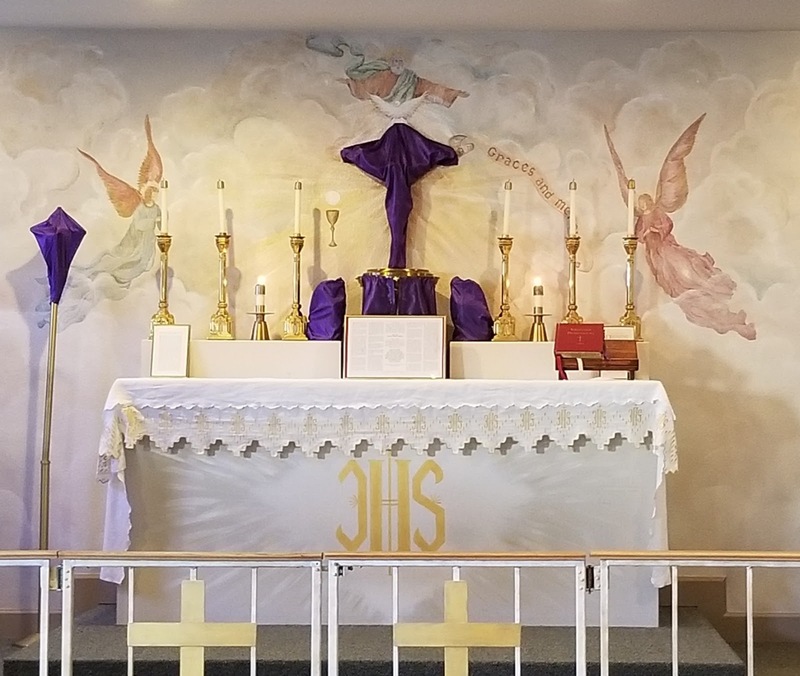 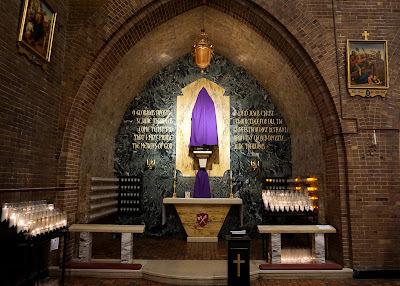 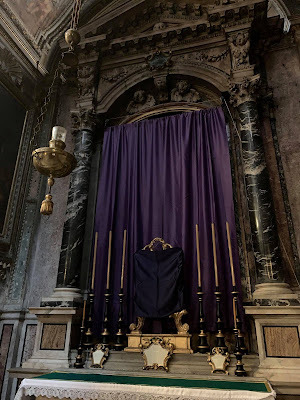 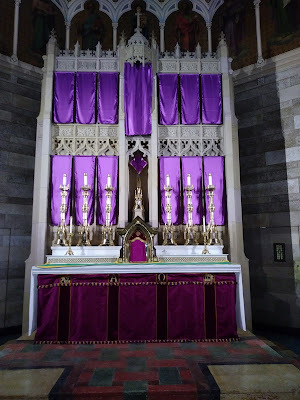 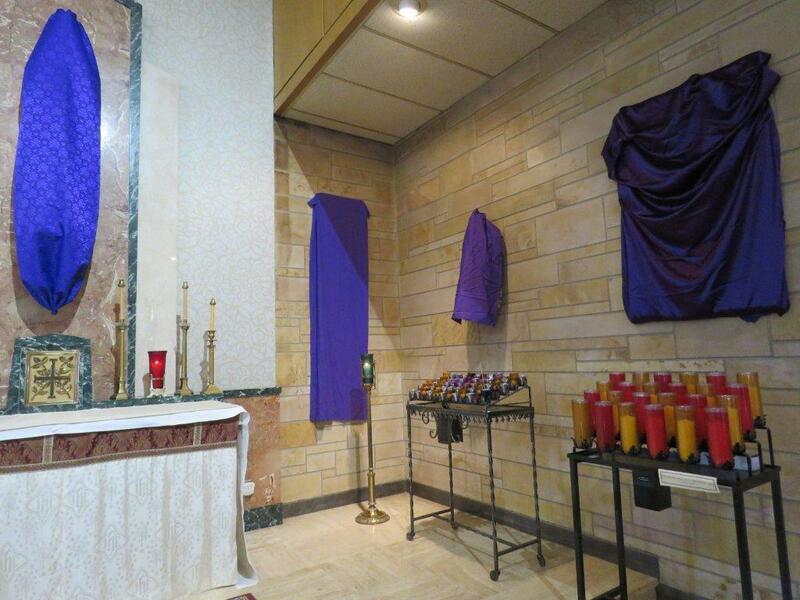 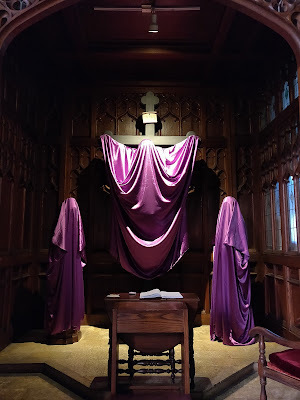 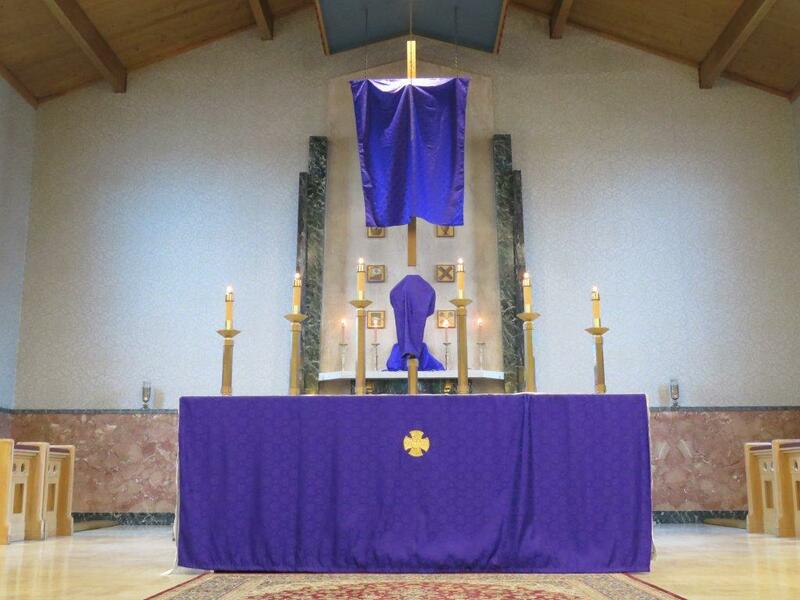 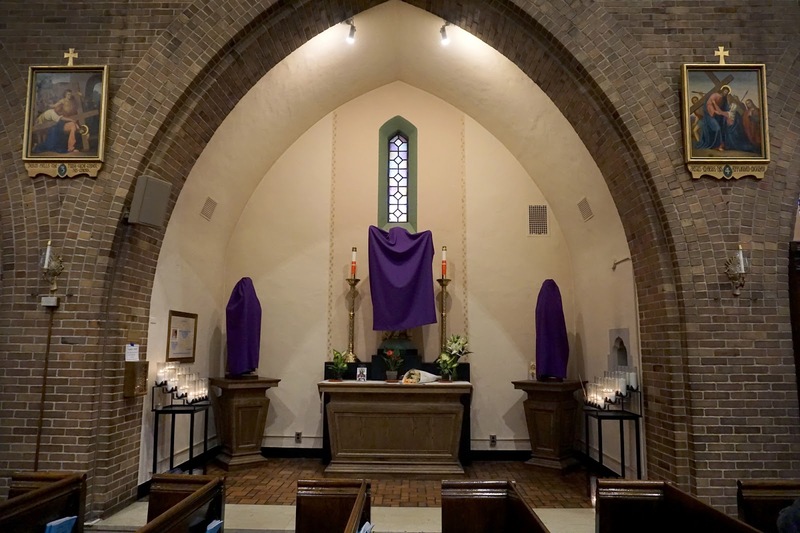 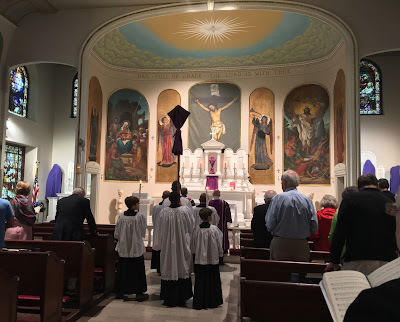 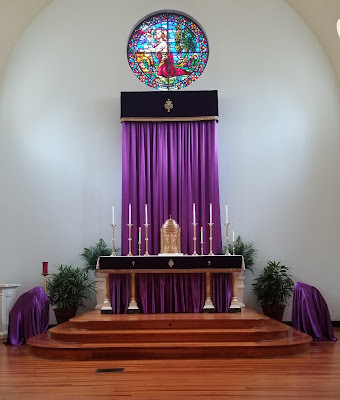 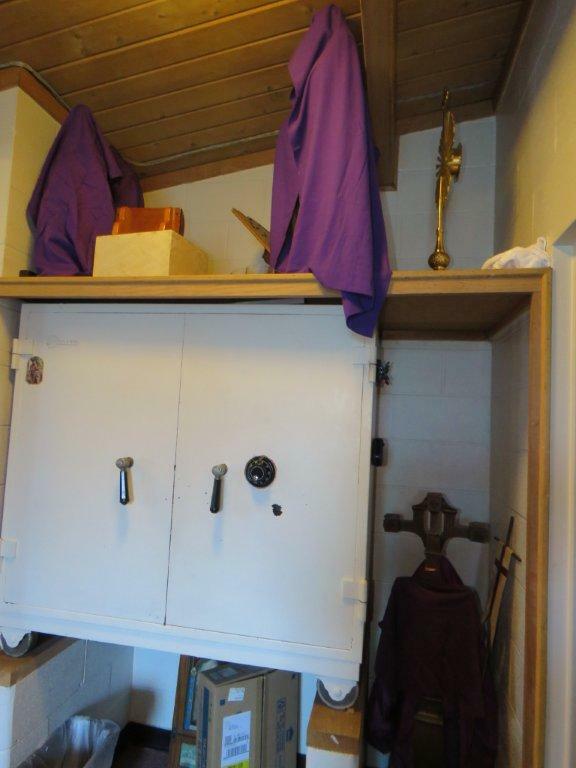 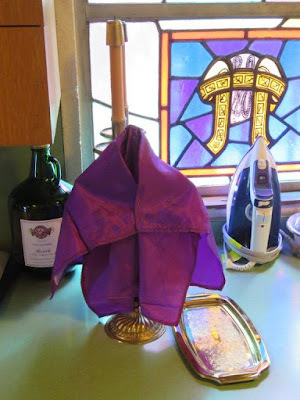 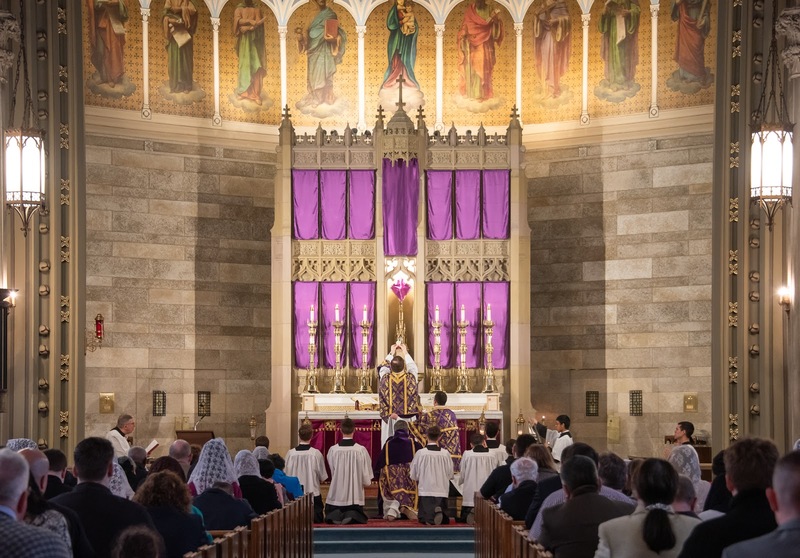 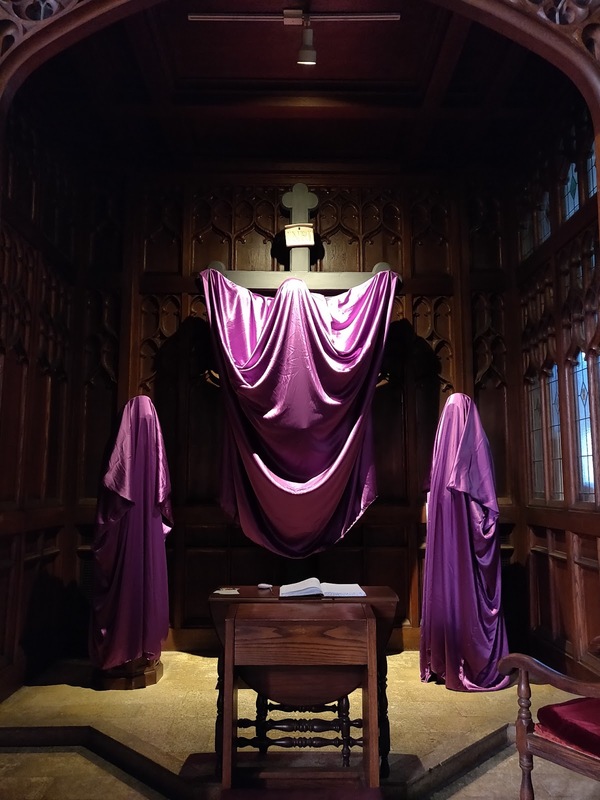 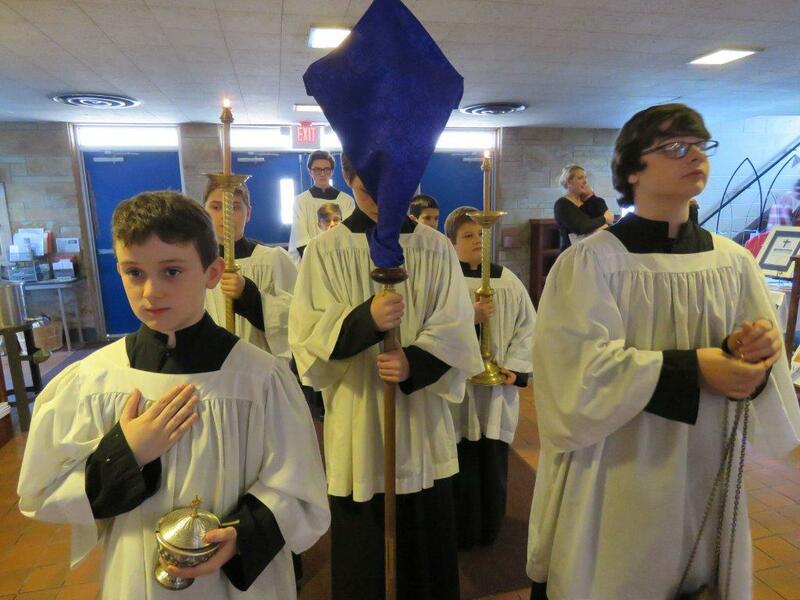 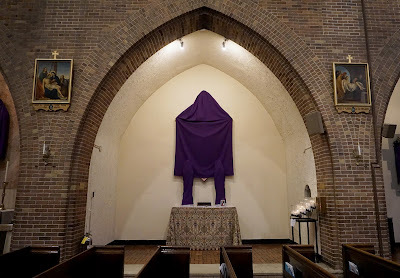 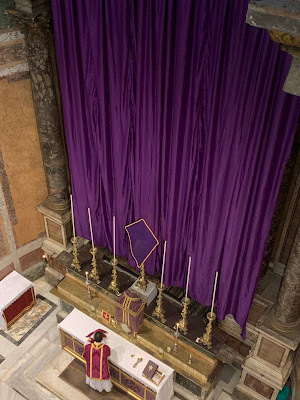 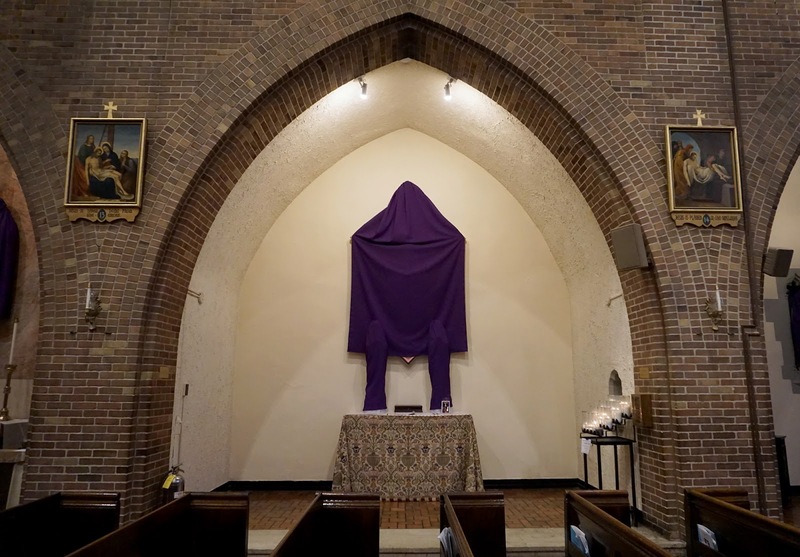 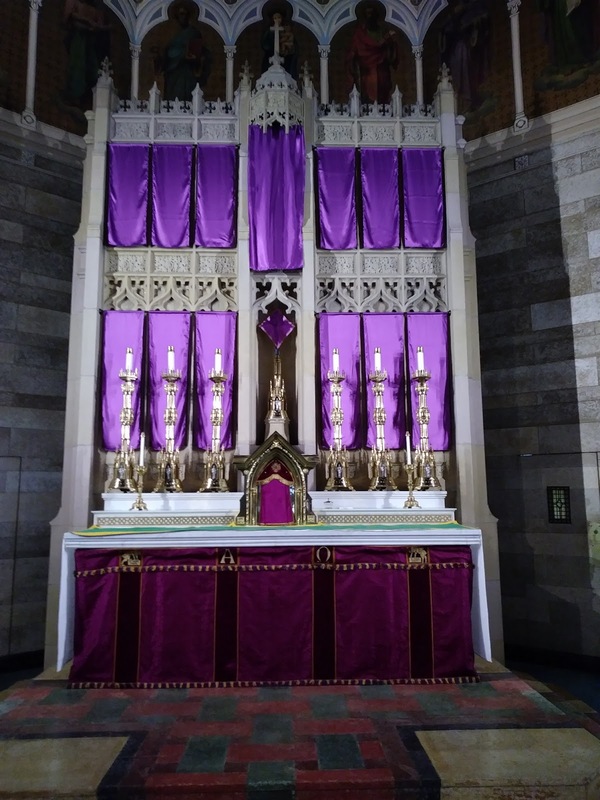 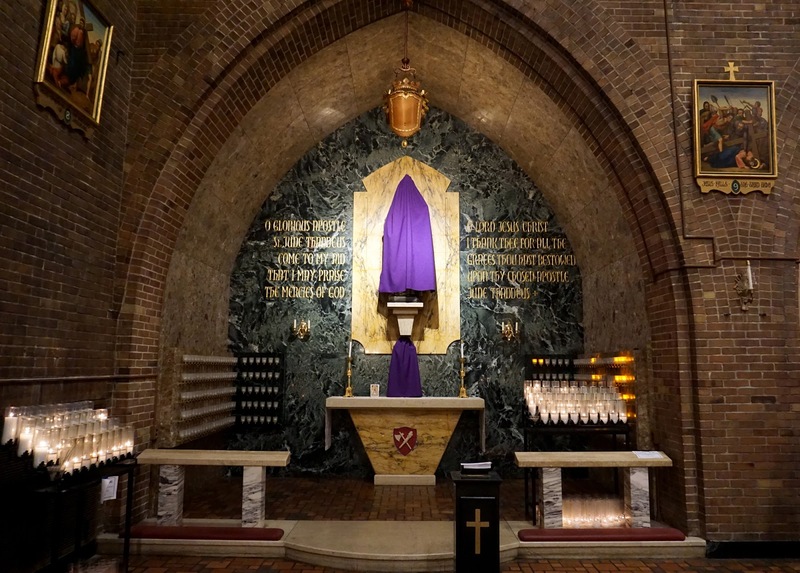 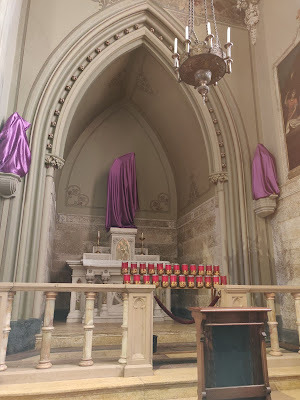 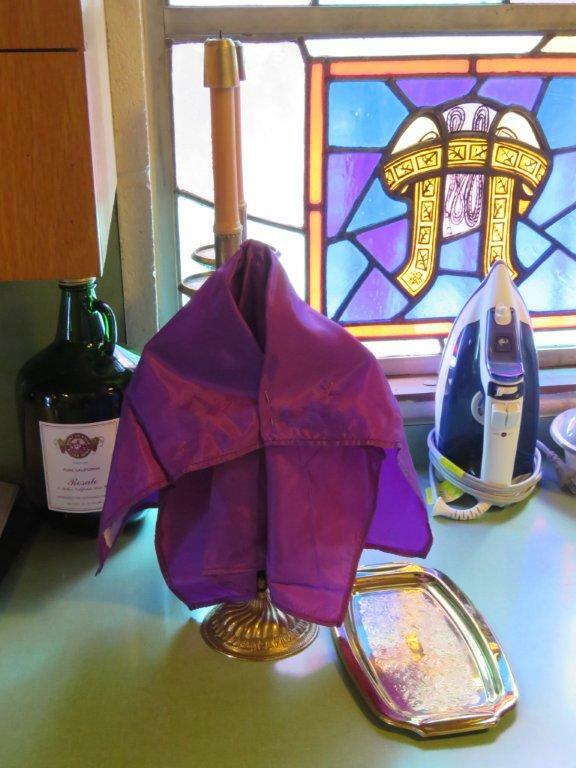 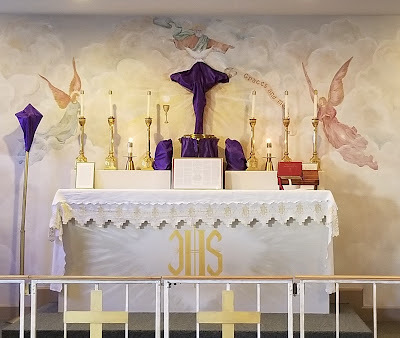 For our second photopost of Passiontide veils, we start with one of our most faithful contributors, St Mary’s Parish in Kalamazoo, Michigan; I particularly wanted to highlight them for their thoroughness in veiling everything in the church that should be veiled, including objects in the sacristy. 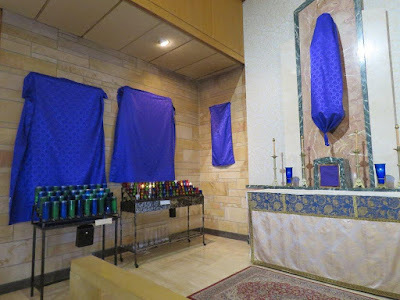 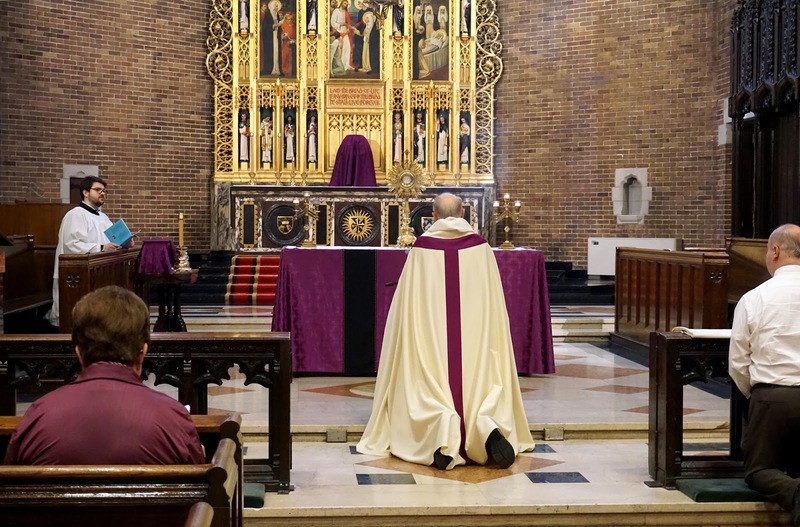 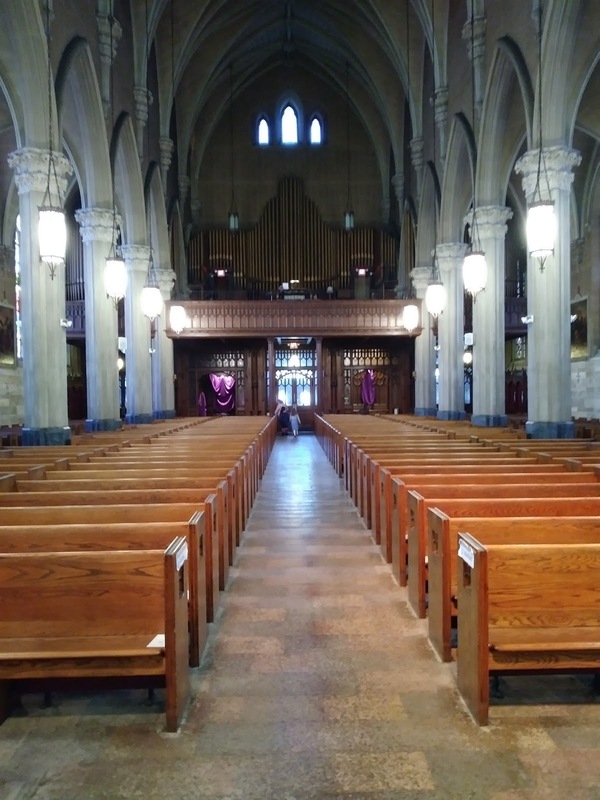 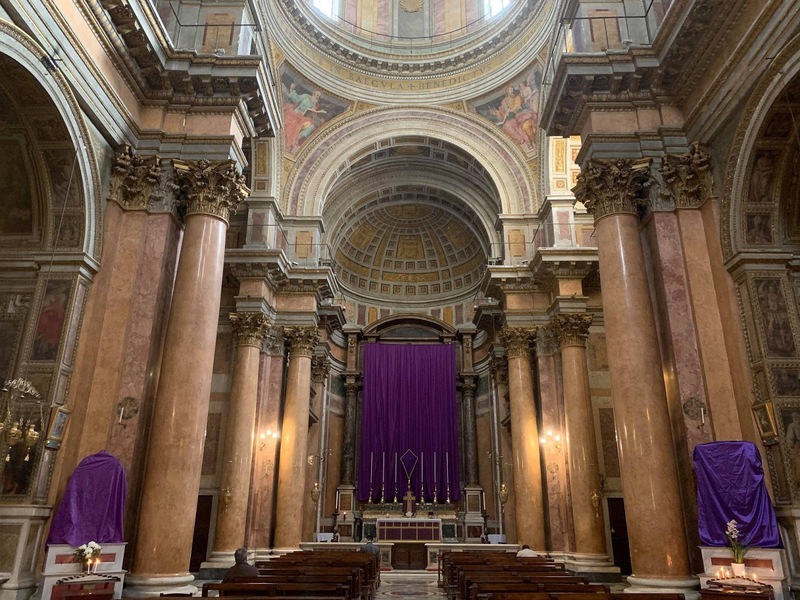 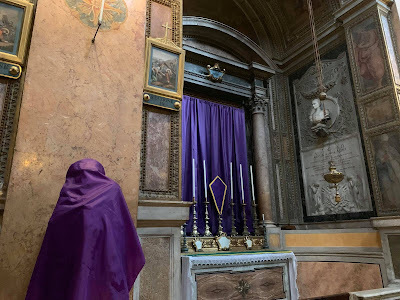 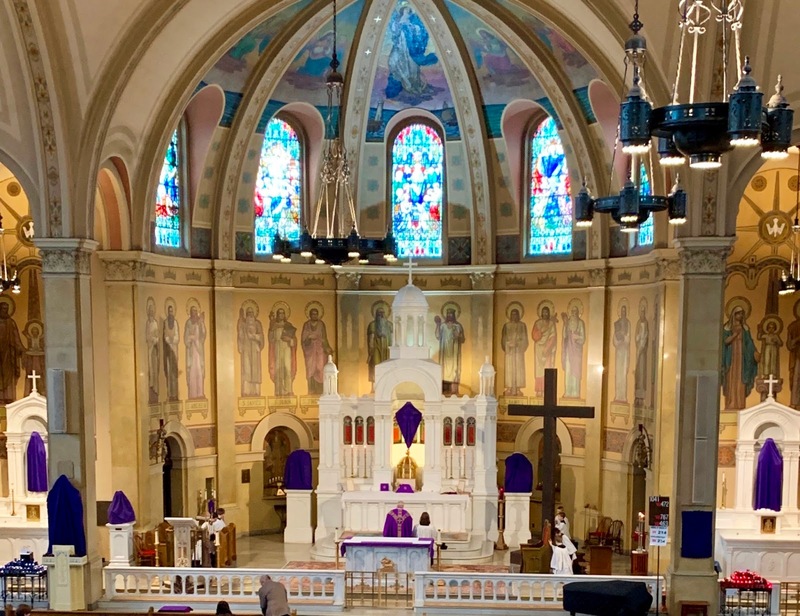 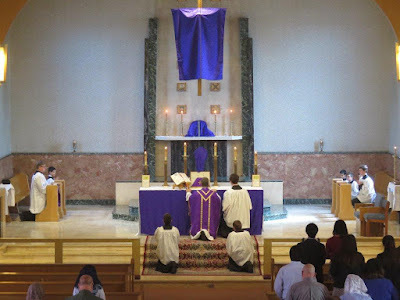 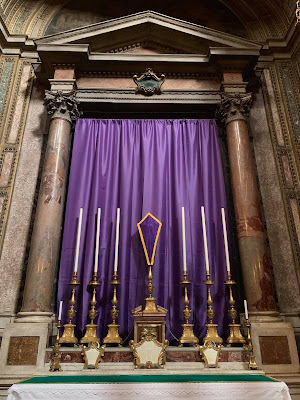 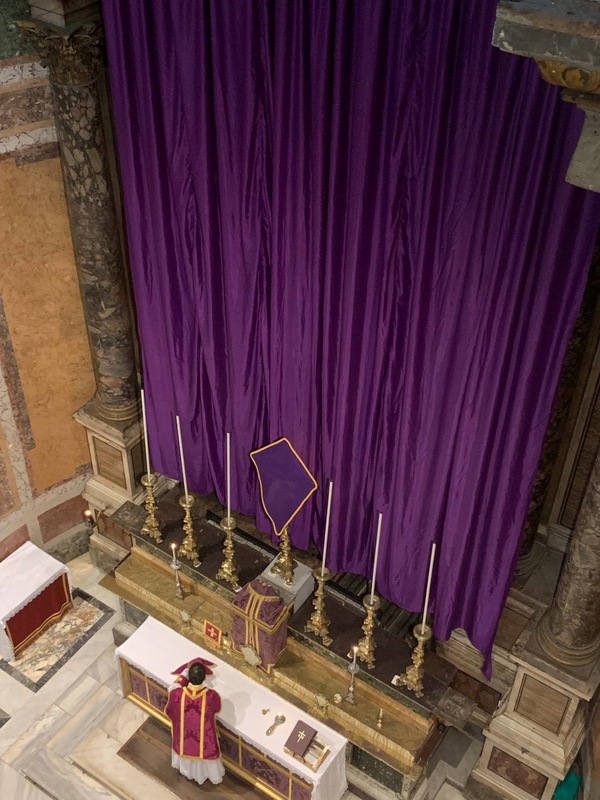 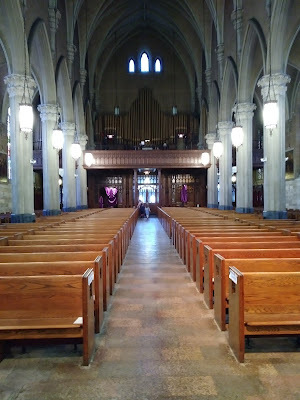 The second set comes from the FSSP’s in Providence, Rhode Island, which had no veils when the parish was established quite recently, so the parishioners made them over the last few weeks, and again, for everything in the church. 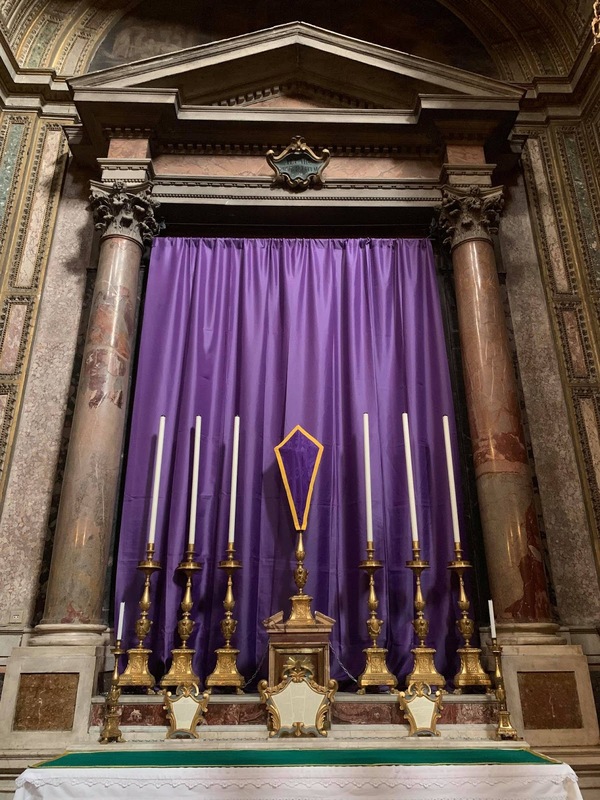 There is still plenty of time to send more photos in if you have them (photopost@newliturgicalmovement.org) - thanks once again to everybody who contributed these! 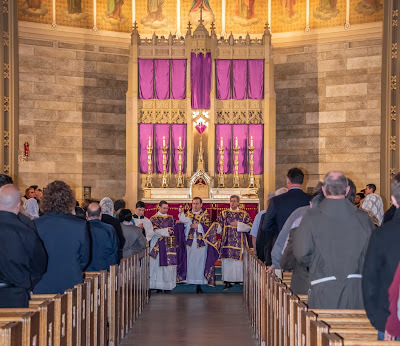 A newly ordained deacon of the FSSP served as deacon for the first time. A view from one of the two “coretti - little choirs” on either side of the main sanctuary. 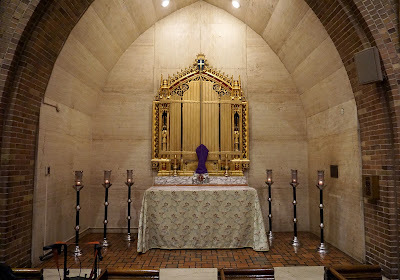 The church was built in the early 17th century, when many pieces of music were written to be sung by different groups of singers located in different parts of the church.